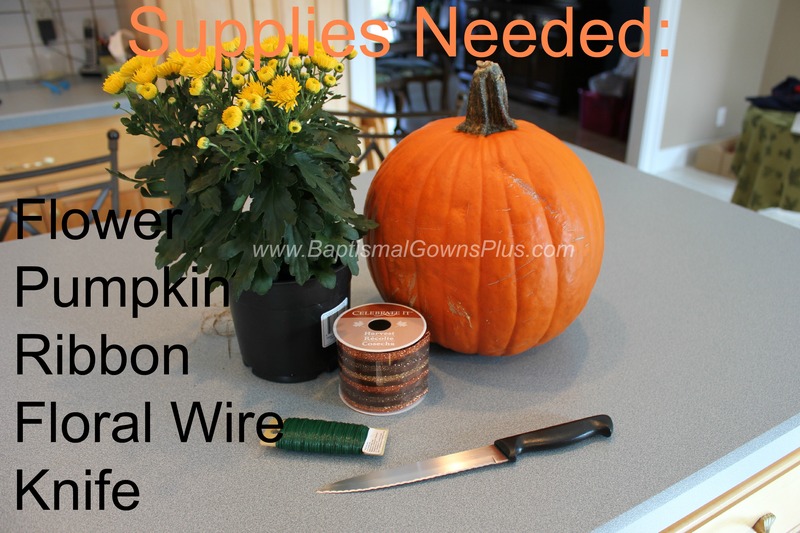 Some of my favorite things about this time of year are pumpkins – and mums – so I thought it was the cutest thing ever to put them together!!! Step 1: Cut the top off the pumpkin and clean out the guts. It took me a little while to get the diameter of the circle right so that the pot fit in the pumpkin snugly. Start a little smaller than you think and gradually make the hole bigger until you’ve got it right. 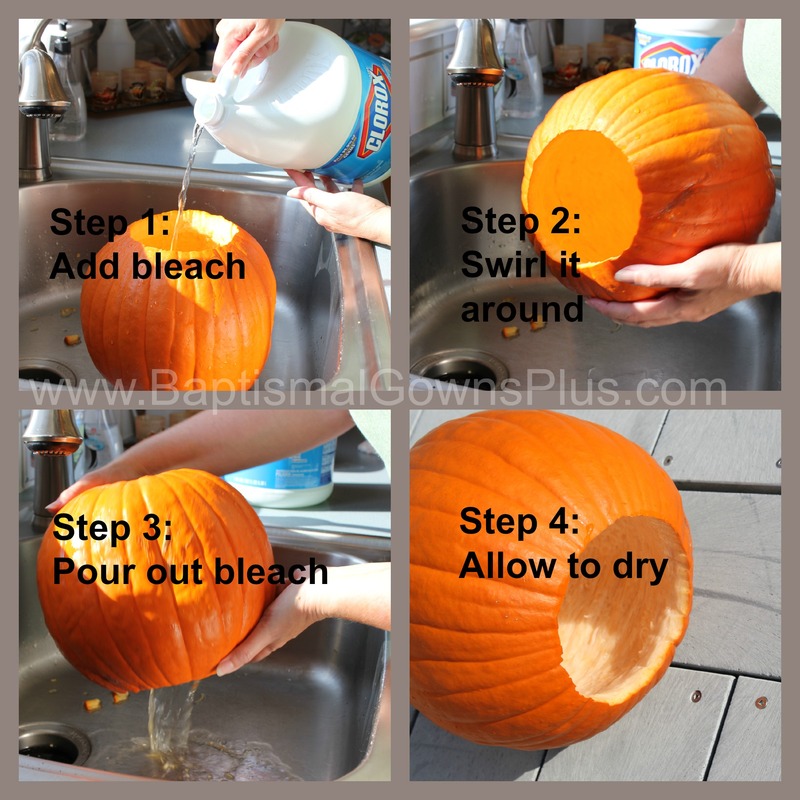 Step 2: Bleach the inside of the pumpkin to attempt to keep the mold away… and hopefully keep the planter from rotting right away. One note of caution – to avoid the pumpkin from rotting prematurely, take the pot out of the pumpkin before you water the plant. 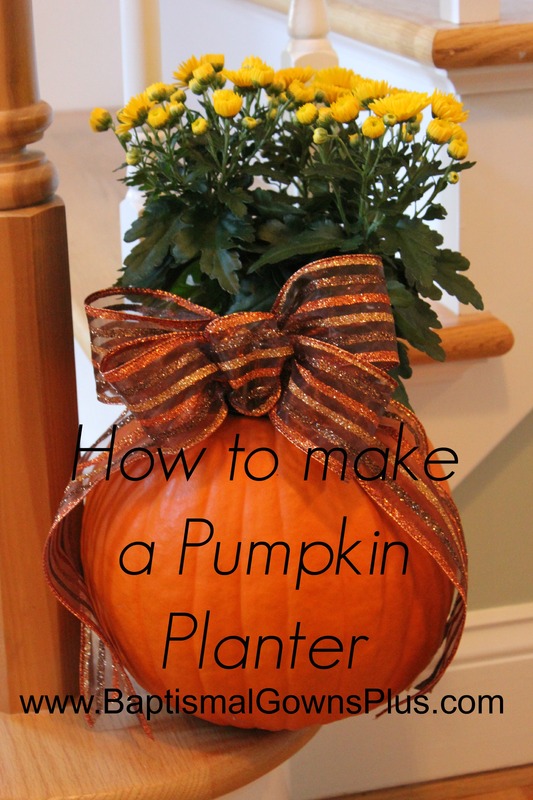 Let the excess water drain away for just a few minutes and then replace the flower pot back in the pumpkin. 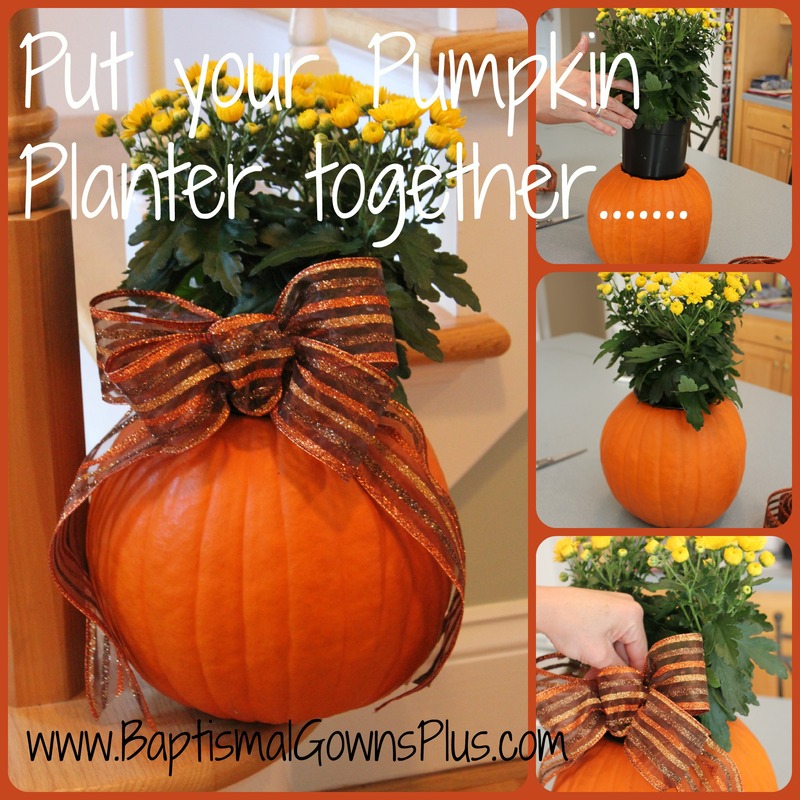 Put the flowerpot in the pumpkin – add the bow – and put it somewhere where you can enjoy it for the season! What do you think? Will you try to make one of your own? Please share what type of planter you will make and where you will put it in the comments section. Anne-Marie Dunn is the Owner of www.BaptismalGownsPlus.com. We specialize in Baptismal, First Communion and Confirmation Apparel for both boys and girls.